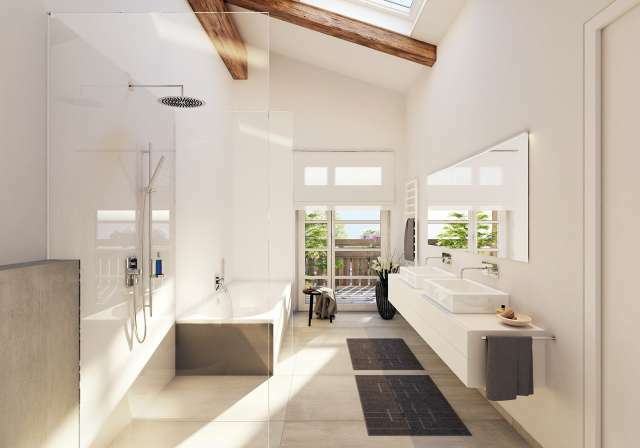 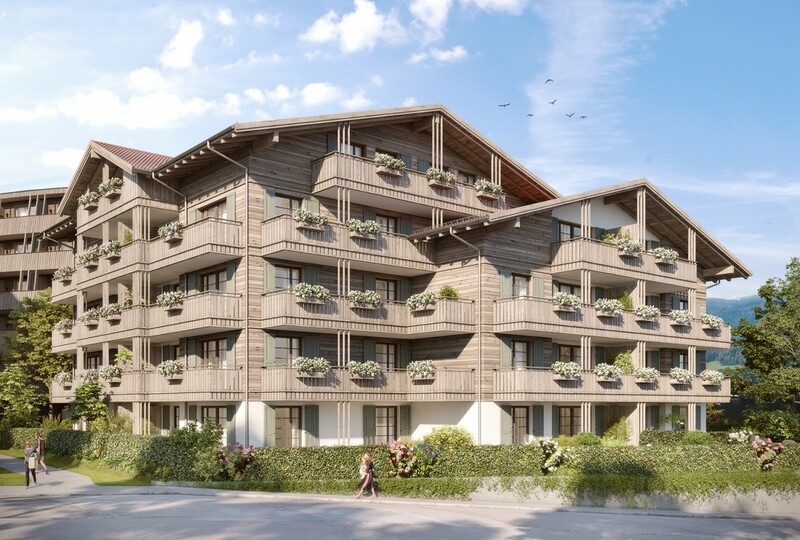 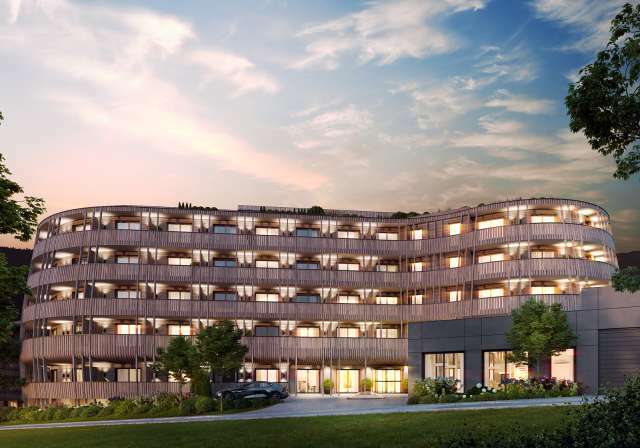 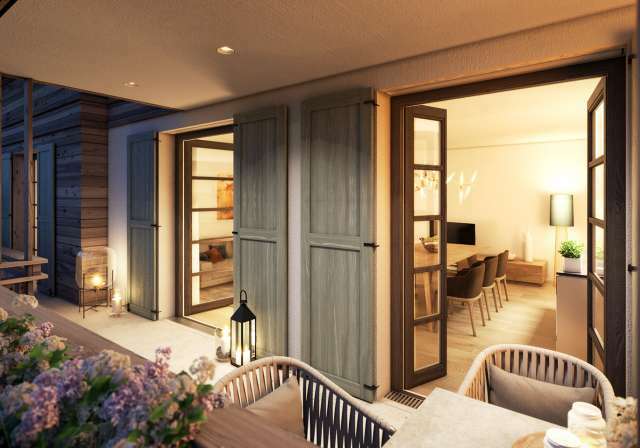 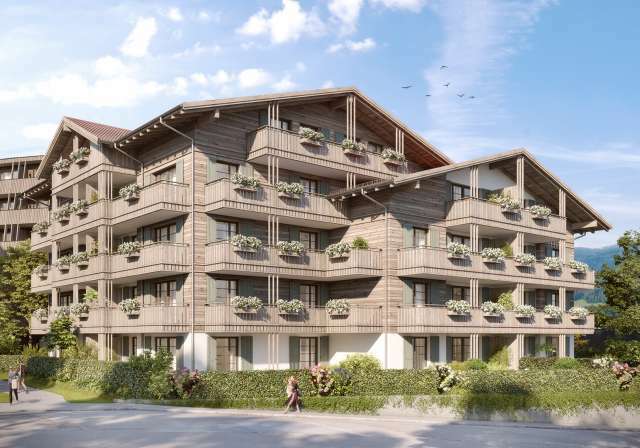 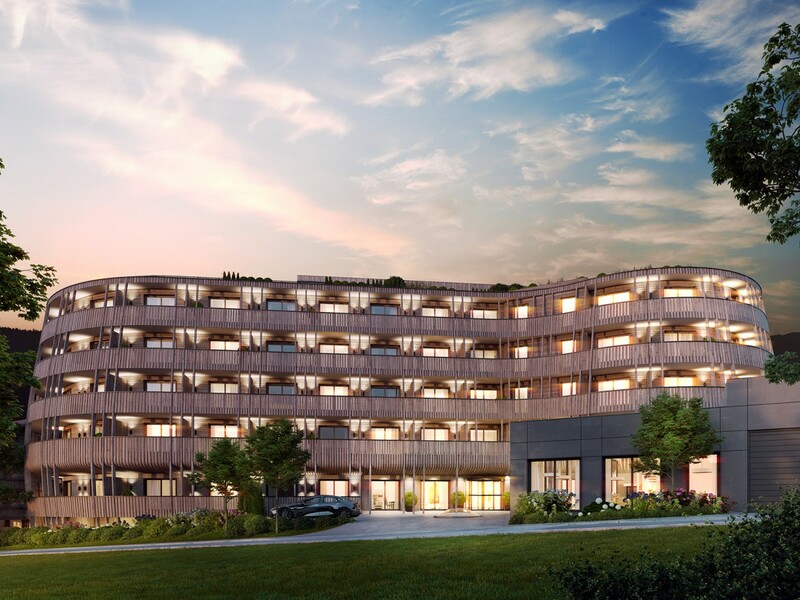 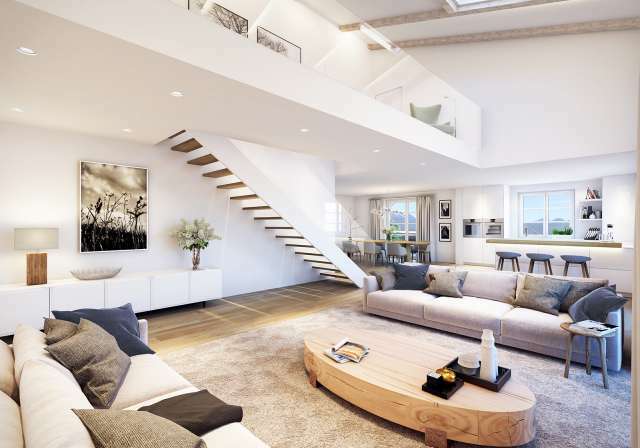 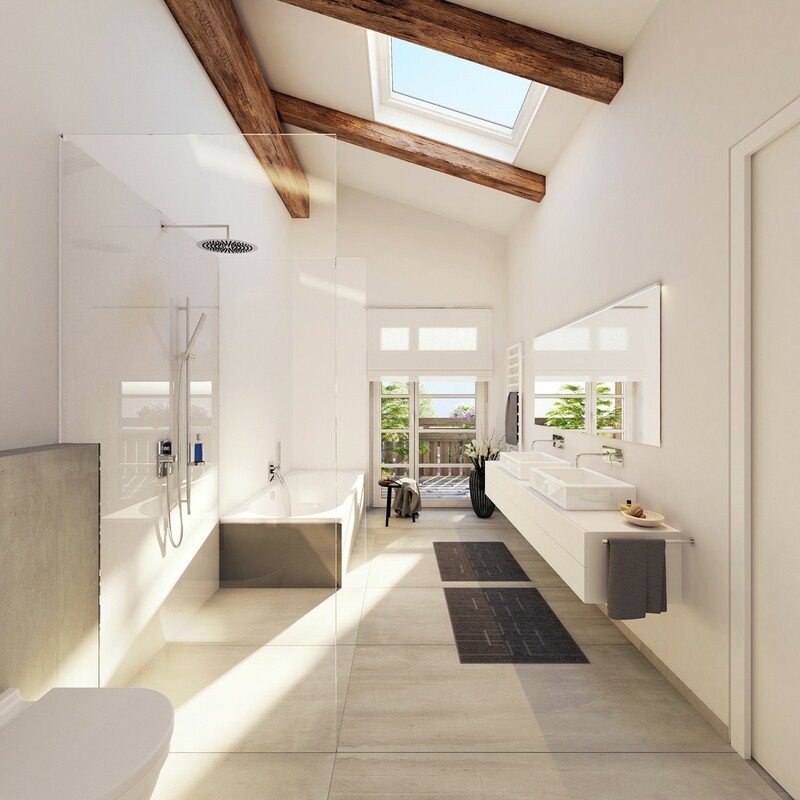 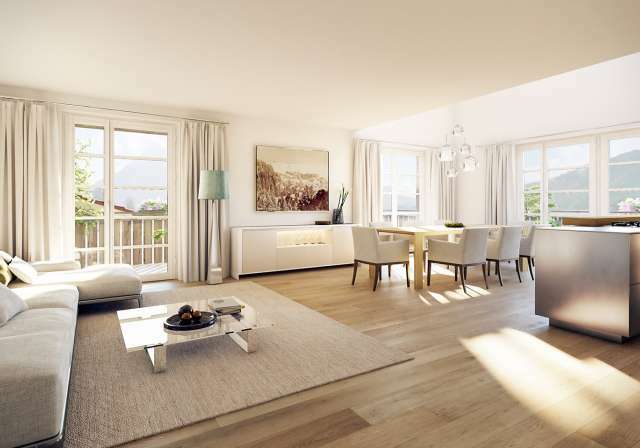 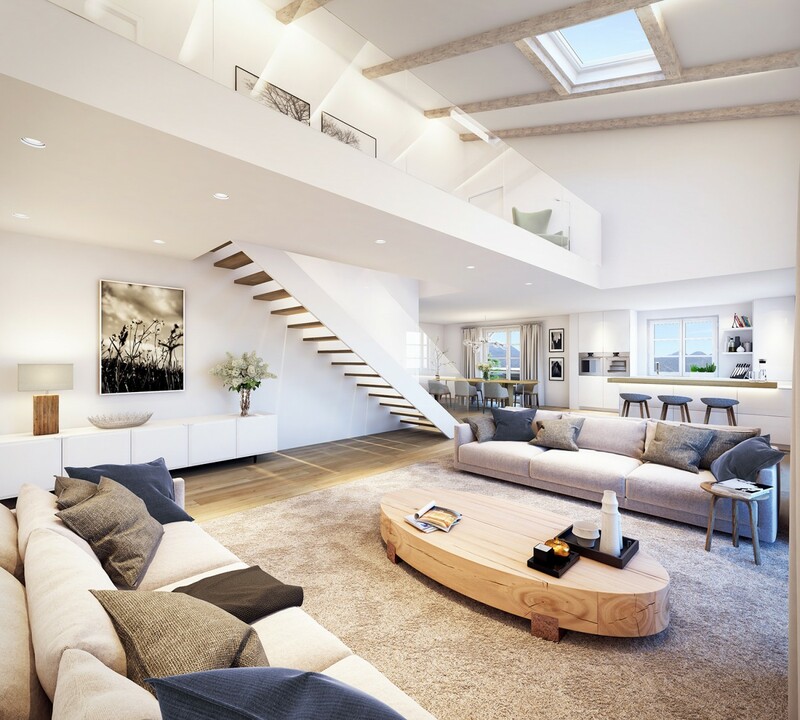 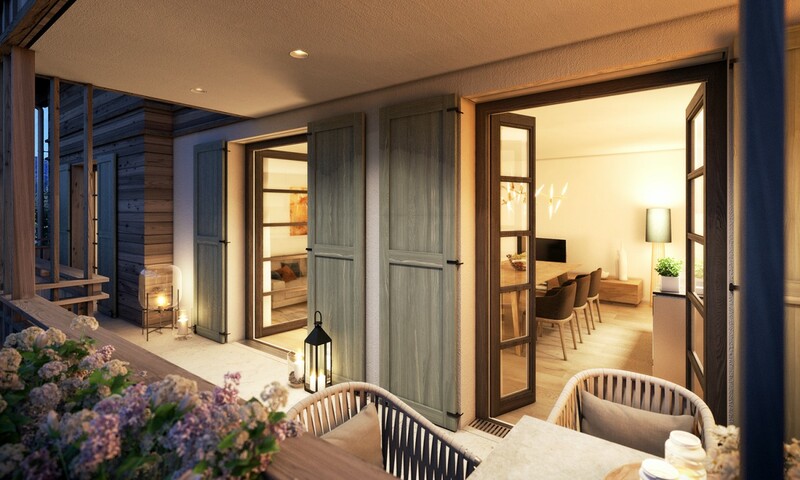 At the centre of the town of Tegernsee, just a few minutes’ walk from the lakeshore in one of Germany’s most sought after residential regions, the new QUARTIER TEGERNSEE is being constructed – a unique ensemble of comprising three elegant blocks of flats connected to an exclusive hotel. 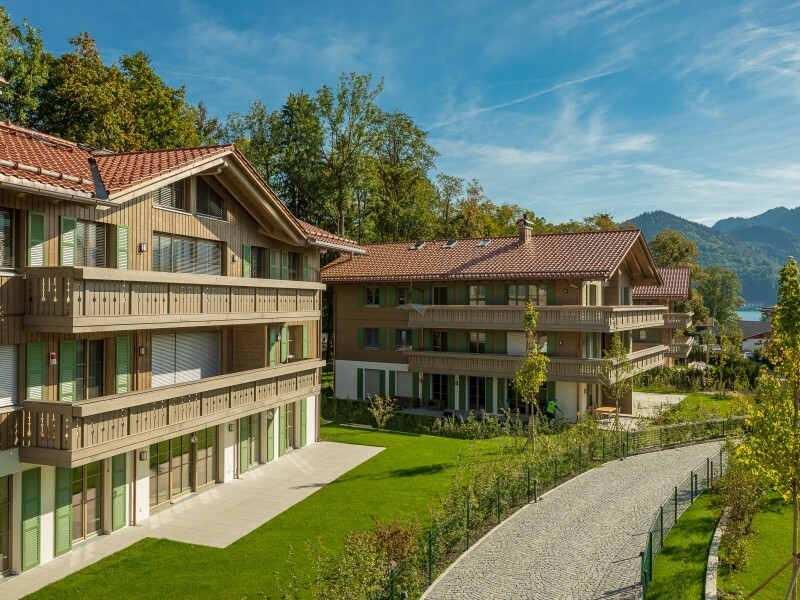 The blocks built in the typical Tegernsee architectural style contain owner-occupied units measuring between 60 und 230 square metres which are for sale. 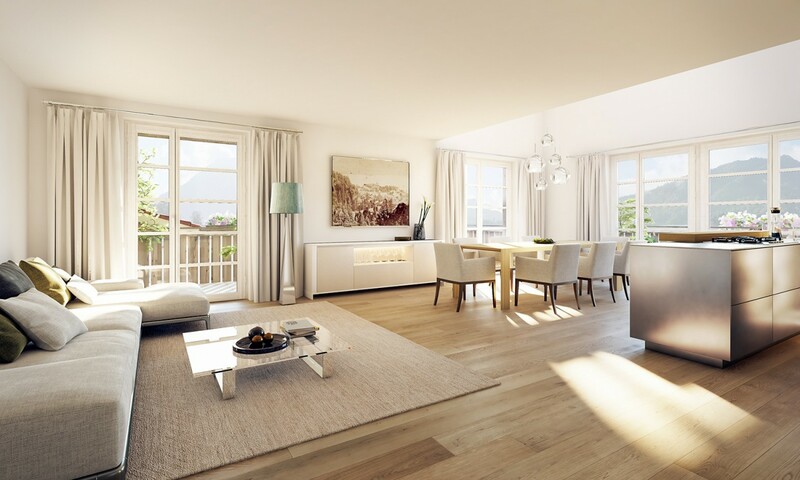 The excellently appointed flats are suitable as permanent residences, weekend retreats or holiday flats as well as capital investments. 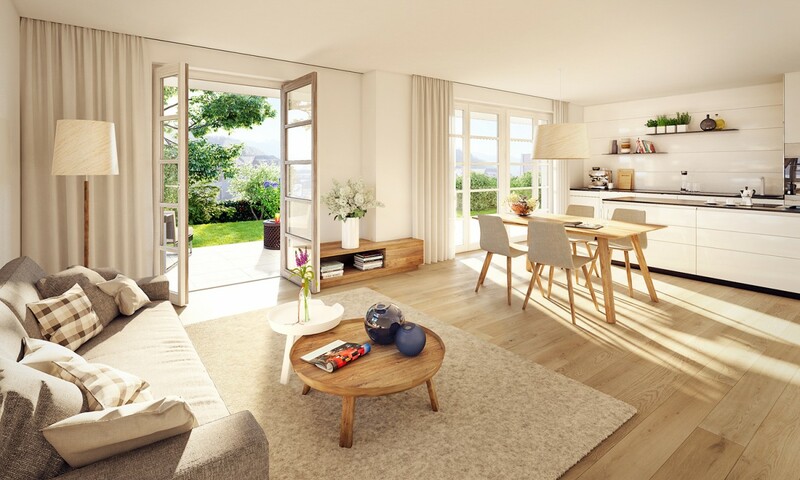 QUARTIER TEGERNSEE’s symbiosis of residence and hotel is unique in the region, offering you every conceivable advantage of an owner-occupied flat with a hotel right next door. 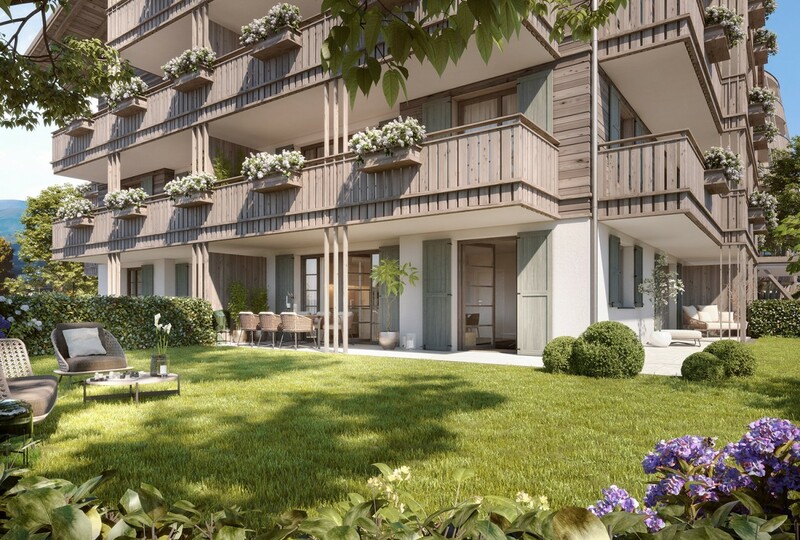 QUARTIER TEGERNSEE – synonymous with luxurious living in one of Bavaria’s most beautiful locations and one of the most popular holiday destinations in Germany. 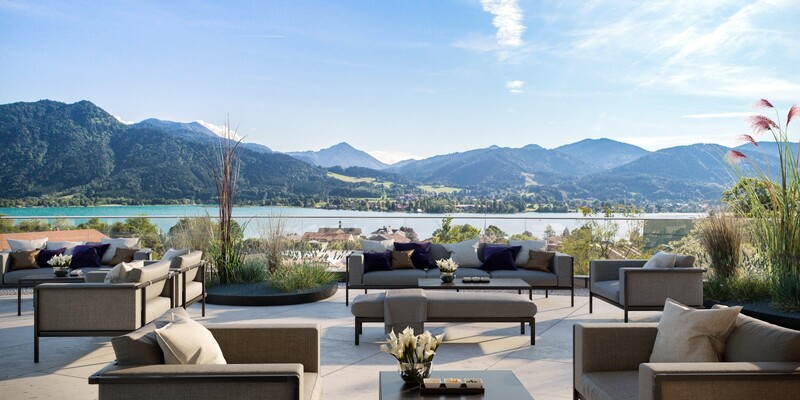 The town of Tegernsee is situated on the southern shore of Tegernsee and is just a few minutes away from vibrant Rottach-Egern. 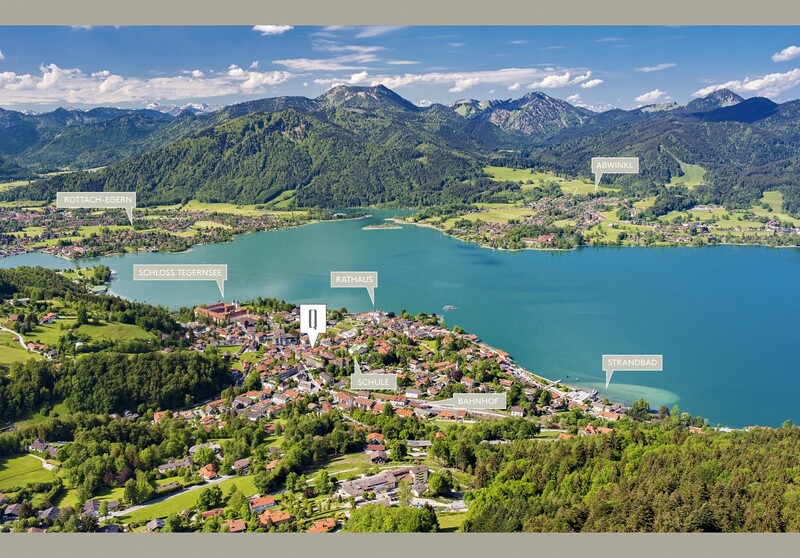 QUARTIER TEGERNSEE is also just an easy hour’s train ride from Munich with the Bayerische Oberlandbahn (BOB). 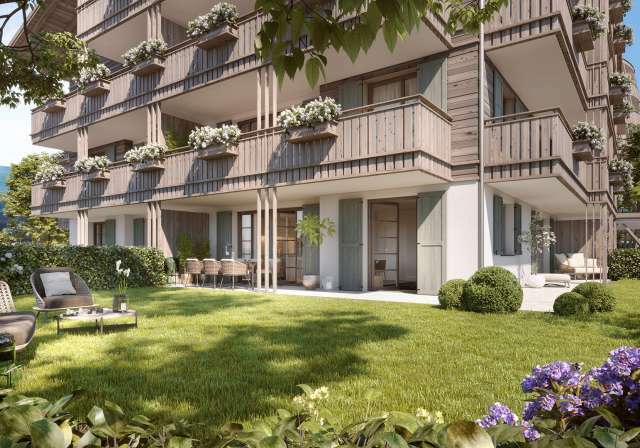 From the idyllic village train station to your flat is a mere three-minute walk. 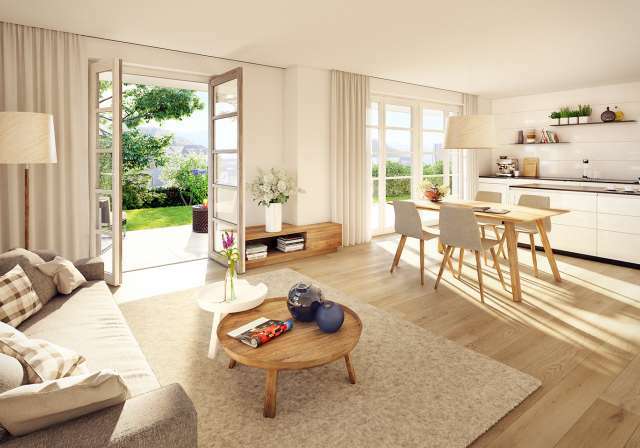 If you come by car, then simply park in the brightly lit underground garage and take the convenient lift up to your lakeside flat.